Efco released the new MT 3500 S chainsaw. Featuring a sleeker design, the MT 3500 S includes a sprocket driven oil pump that has zero oil flow when the engine is idle. This allows for lower oil consumption and a reduced impact on the environment, the company said. The MT 3500 S is powered by a 38.9-cc engine that delivers 2.0 horsepower. Additional features include an on/off switch, a choke and throttle lock incorporated into one switch, a six-point anti-vibration system, a lateral chain tensioner, an in-board clutch and an air purge for cold starts. 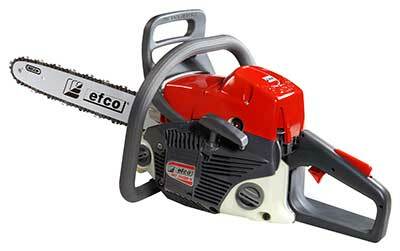 Efco’s new chainsaw includes a five-year consumer and two-year commercial warranty.